Author Sangeet Sharma is a person donning many hats- he is a practicing architect in Chandigarh, an author, motivational speaker, thinker, poet, architectural critic, artist, and a musician. Coming from a renowned family of architects and being widely published, awarded, quoted and celebrated for his sustainable and contemporary modern architecture; he also is very vocal about both the strengths and flaws of this profession and his insights in this matter are much sought after. 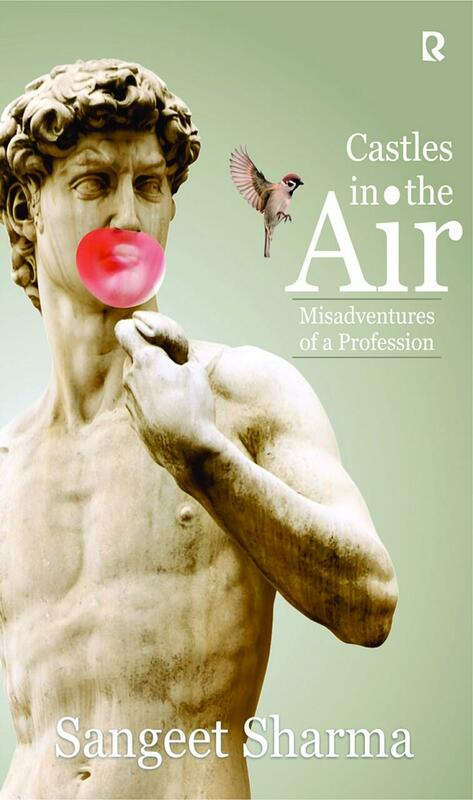 He has come out with a book “Castles in the air: Misadventures of a profession” which is a fictional account dealing with various aspects of architecture in a humorous manner. 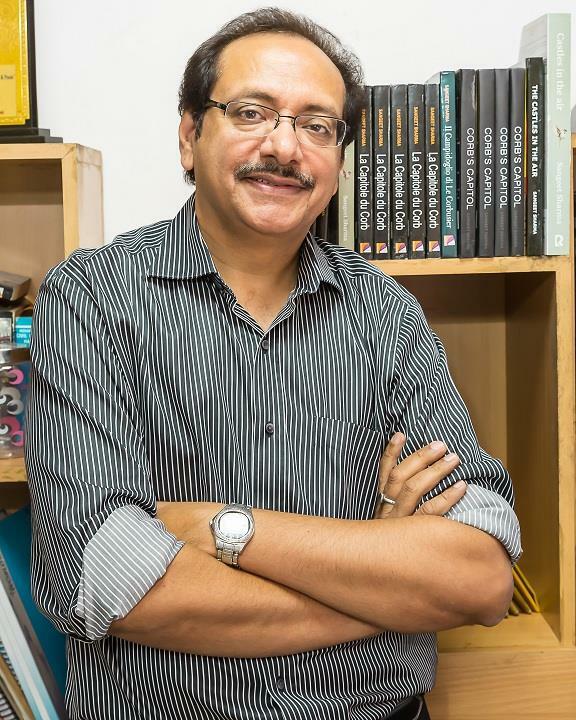 In a candid conversation with Chirdeep Malhotra, he talks about his recent book, how this book is different from his other books on architecture, his writing journey and why sustainable architecture is necessary for taking modern India’s growth trajectory to newer heights. You’re a multifaceted personality and don many hats. However, we would like to know more about you as a writer and your writing journey. Can you tell us more about it? I am a professional architect. I belong to a family of architects. It is there in my genes. My father, Ar. S.D. Sharma is a veteran in this field and a leading name in the fraternity. I grew up looking at him and his enthralling work. Architecture runs in my veins. Coming to writing, I am not a full time writer. I am 'also' a writer. From being a small hobby, it has now become a full time passion and I am almost a full time author by default, if not spending all the time on it practically but mentally it is full time. Storytelling came as an idiosyncratic nature to me and from childhood I wished to be an able storytelling Santa Claus. In continuation to this adventure of mine, I pursued it intensely and was able to reach a level of a considerable repute. I have authored six books, including a book on poetry. The journey is ongoing. Can you give a brief overview of your book “Castles in the Air”? Laughter is said to be the best elixir and the book is a satire on architecture and the building industry. I know the bricks and concrete of this profession by heart. I am a practicing architect himself, and have delved into the journey of professional practice. The book is witty with acerbic humor. Word by word, sentence by sentence, page by page, every scene unfolds like a screenplay, leaving the reader amazed with the brutalities of life in architecture, and life itself. The book is not for architects alone; it is also for the clients who initiate jobs establishing noble and worthy projects. It is for the builders and contractors who execute them; it is for the craftsmen and the masons, who, by the dexterity of their hands create magic in details. It is for the services consultants and allied engineers who ensure the smooth functioning of the buildings. It is for the sculptors, painters, and artists who induce art into architecture. It is for the students of architecture who will be in the profession in times to come and should be well-prepared to face the challenges ahead. It is for lay readers who are curious to know how architecture and allied vocations function. The book is for the eager housewives who misconstrue design with decoration. It is also for the politicians who are the kingmakers and implement the magnanimous visions into reality. It is for all who are even remotely connected with the building industry. It was important to communicate and regale at the industry. Writing this book was necessary- necessary, because the nature of this profession was on a somersault. It was important that someone bell the cat— I became the bell; and I become the cat. Apart from the fact that it is more reflective and satirical about architecture as a profession, how is this book different from your previous books on architectural practice? It is the music of the words that fills my heart that first made me write- the reason my first book was on English poetry titled "The Touch of Moon". The expedition continued and the storytelling became imbued with my professional mixtures. I looked at architecture from different angles and that became a primary interface between me and my stories. As an all rounder in fine arts, to depict the passion of the beauty in artistic abilities and architecture I wrote an inspiring book like "Architecture Life & me". That was followed by books such as "Corb's Capitol", "Architalks", and “Architectural Aesthetics" culminating in this book called "Castles in the Air" which is a satire on the building industry. As you said, you’ve also written a book of English poetry titled “The touch of moon”. What themes have you written about in the book? Can you tell us more about it? Poetry is what comes from the heart. In the book “The Touch of Moon”, I have written on themes of life, evolution and self growth besides the love of nature. As a poet, I delve into the heart of anything that is alive and living and can make a rhyme. A poet is essentially an instrument from whom the divine speaks and I am blessed to be one of it. I am also working on a book of poetry for architects. Who are your favourite authors and how have they influenced your writing style? All books are important to read or simply scan through. For me it was books by Ayn Rand, Le Corbusier and Isozaki. Books by Gautam Bhatia, Sri Aurobindo and Shakespeare play an important role in defining me. My writing style is in a way unique. I educate through entertaining. I vowed not to write long and boring stuff, and to instantly connect with the readers is the hallmark of my books. Being an insider, what are your views about architecture as a profession? What role do you think architects should perform in contemporary India, given the need for sustainable housing and the frequent rhetoric about smart cities? The creative principles remain similar to what were followed even hundred years back! What has changed is the approach towards it. Social sustainability means social acceptability. That which is largely acceptable is truly sustainable. Architecture is a responsible profession and is largely providing happy habitats to the mankind. Sustainable housing can be achieved by standardization and using contextual principles as the basis of design. Smart cities are all about efficiency, accessibility and order. Cities with these three fundamentals can come as smart cities. I build! Building transforms me. I write! Writing, in turn, completes me. I am a singer and play guitar as well. However, referring to them as hobbies will be like mocking them as insignificant when the truth is that they have become second nature to me. I work on two books simultaneously. I am presently working on a book of fiction and the other one is on architecture. My family and the extended family of my office. The best piece of advice that I can give is to first being convinced of the subject and then making it simple- very simple. The pleasure of traditional publication is abundant and the pleasure of somebody reading your work liking it is a wonderful feeling.